The Mobile shelving system is made up of shelving units mounted upon mobile bases which move along rails. 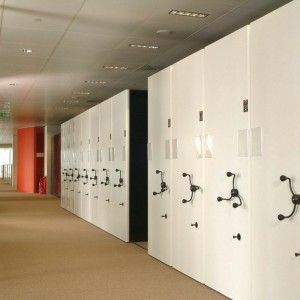 This high capacity shelving system makes optimum use of space as well as guaranteeing safe, organised storage for files, books, boxes and more. 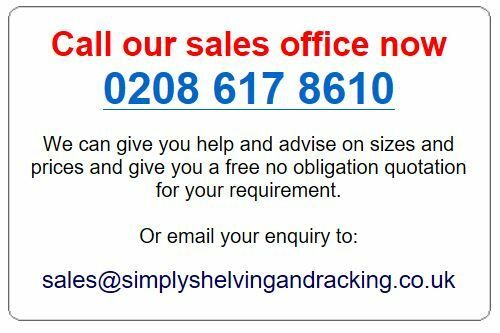 This unique mobile shelving system operates on a single guide track fitted directly to your existing floor, without the need for extensive and often costly site work. Installation is a simple process that leaves existing floor coverings completely intact and with no residual mess, especially if you want to re-locate the system at any time. All the loads imposed on the bases are transmitted directly to the floor through a series of specially designed polyurethane tyred wheels which run happily on carpets, PVC tiles, wood block floors etc.The advantage of the system is that it requires no false floor, presents no trip hazard caused by surface mounted tracks and no additional floor covering (which is required when false floors are laid). It can be easily be re-sited within the building without the use of skilled engineers. 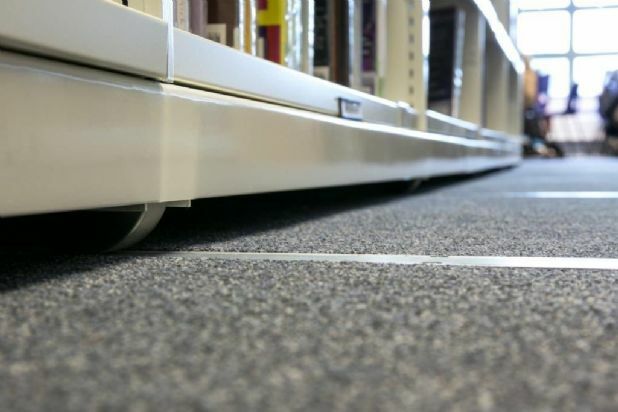 No disruption is caused during installation and it considerably reduces the point load on suspended floors. Due to the unique way the system spreads the load, Monotrak will operate on a raised access floor without requiring additional reinforcement. Monotrak is manufactured in the UK. It is tested to British Standard BS EN 14073-2:2004 and is ISO 9001:2008 Quality approved.